Anyone who has had a radish right out of the garden knows that a radish needs very little else; maybe a little salt to emphasize its flavor, but it’s hard to improve on perfection. Perhaps strange to Americans, the French love their radishes with butter. Here’s a variation on a tea sandwich that bumps that idea up a little bit more. Use a good firm bread such as a baguette, rye, or pumpernickel sliced fairly thin—this is merely a platform for the radish. 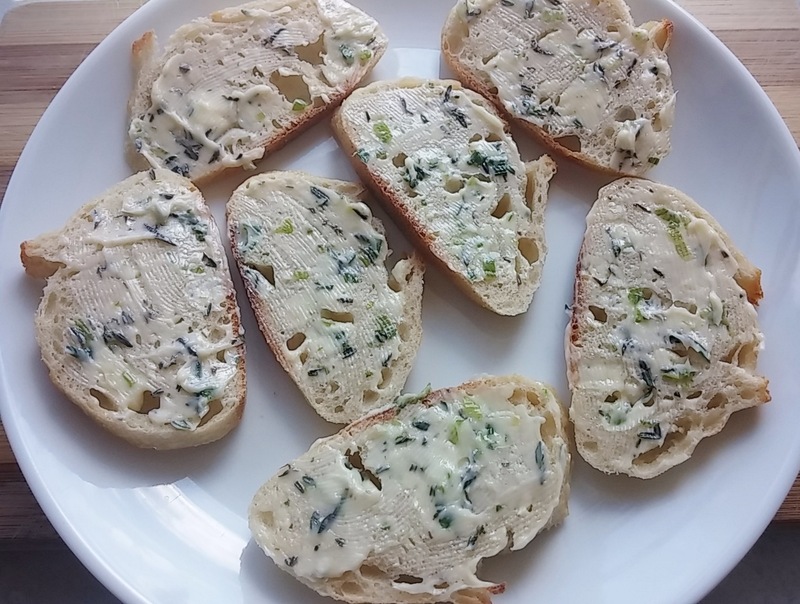 Make a quick herb butter and spread it across the top of each bread slice. 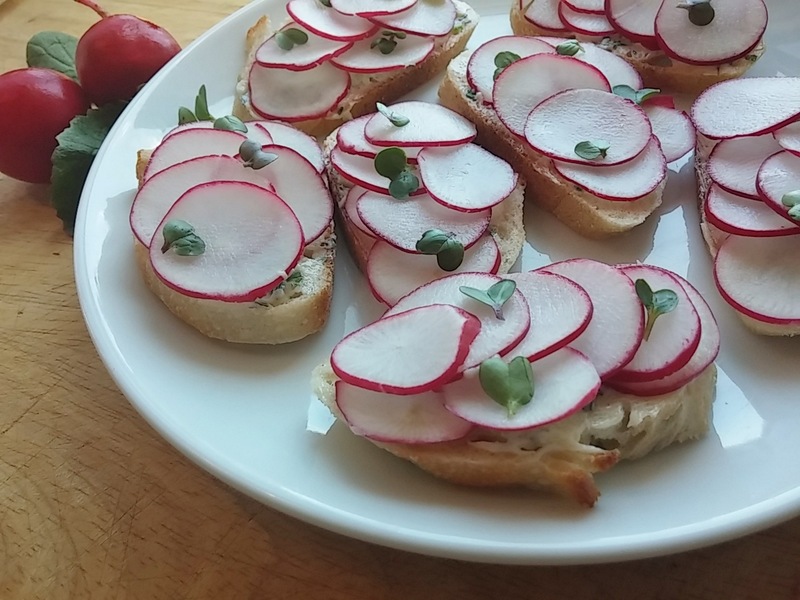 Layer on thinly sliced radishes and sprinkle with a few radish sprout leaves or more fresh herbs. Leave them open faced to enjoy the radish’s simple beauty, or top with a second slice of buttered bread for enclosed sandwiches. Either way, just looking at them is enough to cause your fingers to travel in their direction! Serve anywhere you would enjoy bread with a hit of healthful crunch: with soup, salad, as a snack with drinks, or straight out of the garden. Prepare the herb butter: combine butter with herbs, a squeeze of lemon juice, and salt to taste. To assemble: spread the top of each bread slice with herb butter. Layer with radishes, top with sprouts if available. Serve with a sprinkling of sea salt.